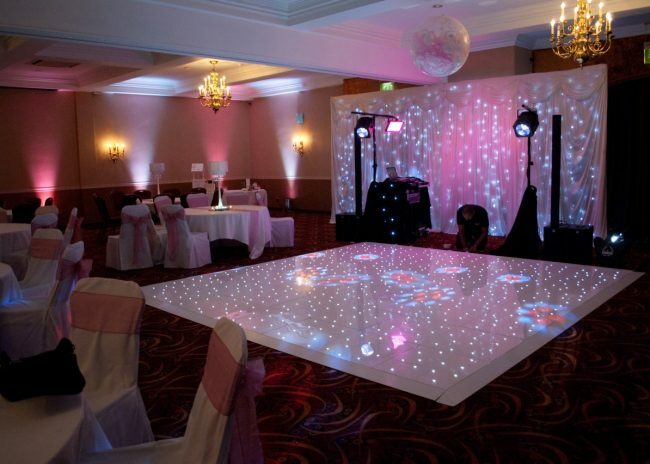 I purchased a Starlok® LED Dancefloor from Portable Floormaker last year and we are delighted with our purchase. We have seen many outside contractors supply weddings with cheap versions that keep going off and cause lots of hassle at wedding receptions, so when we looked to purchase we wanted to make sure this wouldn’t be the case. This dancefloor has caused us no hassle at all in the last 12 months, is very easy to put down and has made a huge difference to our wedding bookings. In just over 12 months it has paid for itself and is continuing to help with wedding sales as we can offer this at a competitive price. It also is a wow when we use it for our own events without having to hire in. If any potential client want to get in touch, more than happy for them to do so. 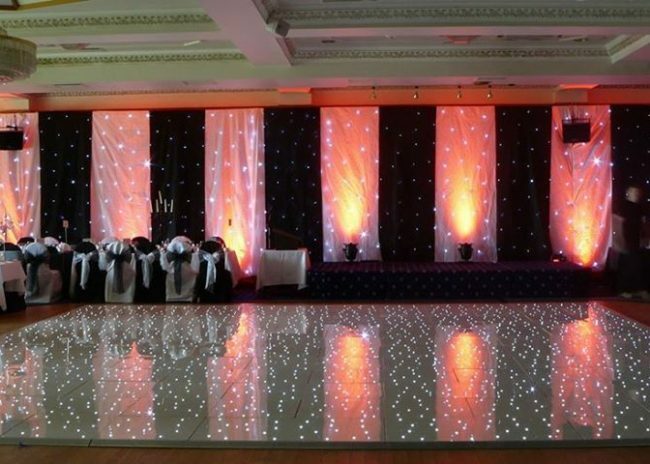 We required a new dance floor for a small function room due to an ongoing refurbishment. A quick Google search brought me to Portable Floormaker. I had a quick look through what they offered and sent an email requesting some prices. The next day I was contact by Hayley. She was fantastic, from our first interaction I could tell she was passionate about the products. There were many aspects that I hadn’t even thought of! Delivery was prompt, comes with guide on how to lay it out and have had nothing but great comments from the staff and our guests! We would highly recommend portable Floormaker to anyone! I purchased a new 16 x 16 black and white chequered dance floor in 2017. I could not fault the customer service I received from Hayley Webster, she provided me with a quote that I could not argue with and kept on top of satisfaction checks even after the floor had been delivered. Portable Floormaker is now one of our prime suppliers. 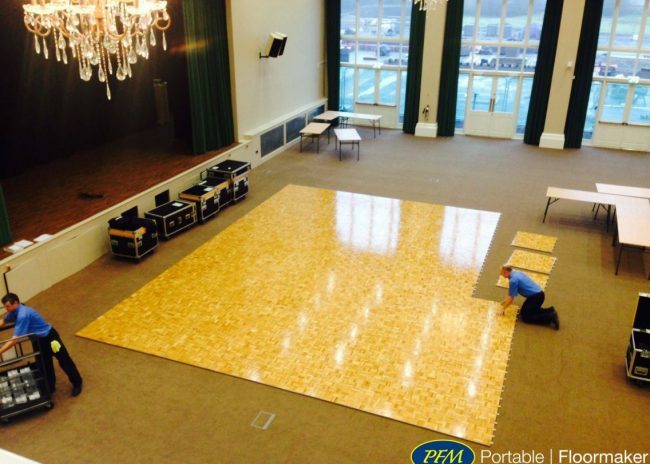 UK Events Ltd are proud to supply dance floors manufactured by Portable Floormaker. PFM offer great service, value for money and quality of products. We have some flooring which is over 8 years old and still going strong. 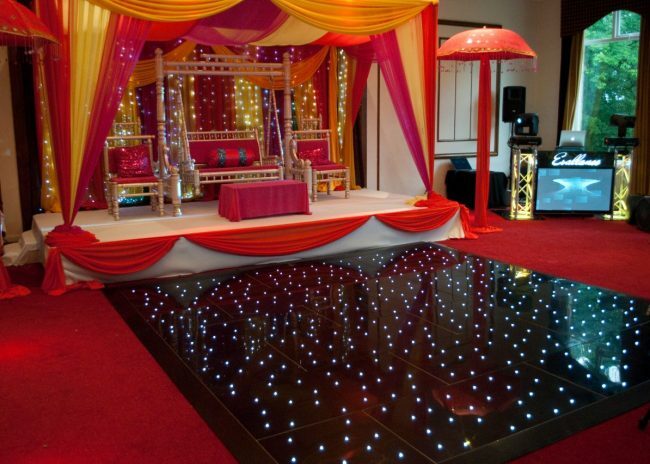 If you are looking for a dance floor that will stand the test of time, then look no further. We are an event supply company based in South Wales, UK who supply both direct to private clients and other businesses. 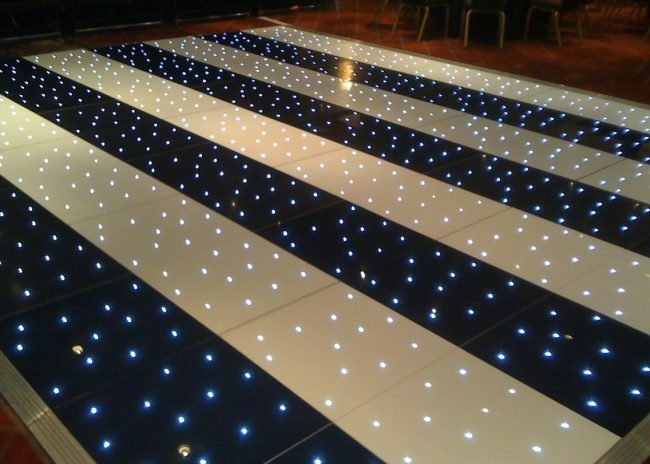 A large portion of the work we undertake involves our stock of LED dance floors which we have a number of in both white and black. 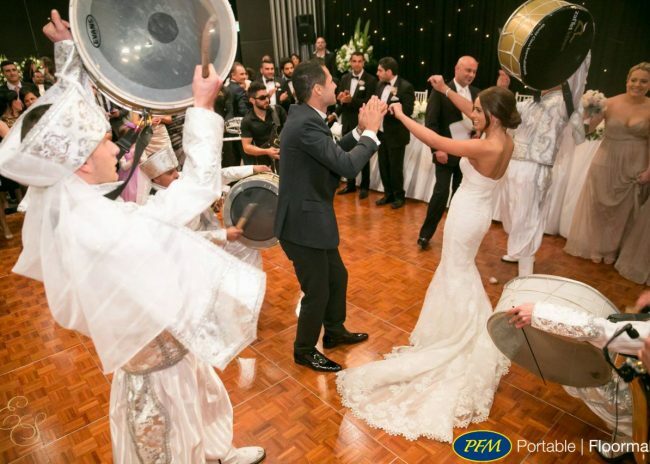 We purchased our first white LED dance floor from PFM many years ago and have since gone on to purchase several more from them. There’s a few reasons why we keep going back to PFM and I can summarise those as follows: Fantastic quality every time, outstanding after care, a better product than competitors, great value and an expanding and interesting portfolio of products. Over the last few years as our company has expanded, personally I’ve been incredibly busy. Luke at PFM has made things straight forward and easy in regards to collection for maintenance, deliveries and sending appropriate information which has helped tremendously during the busy periods. One of the features that the PFM floors have is DMX control. Now that I’ve finally got the staff in place, I’ve found time to program the dance floors into my lighting shows and I’m 100% happy that I picked PFM over any other manufacturer. I look forward to seeing what else the PFM team comes up with in the near future. Over the years Portable Floormaker have provided not only exceptional quality flooring that has been received well by our clients, but equally exceptional service which reflects our own values. 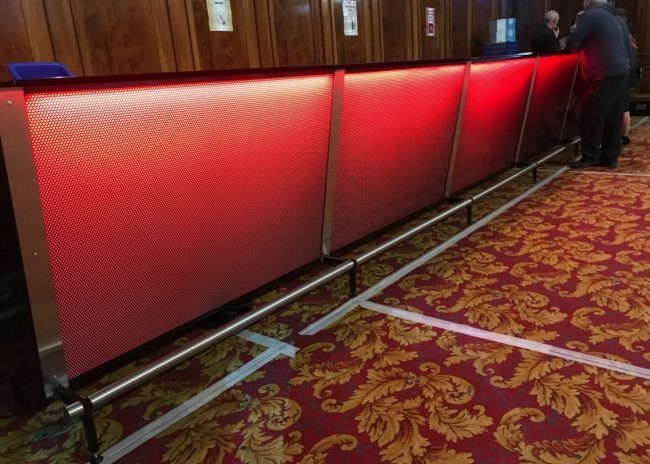 The quality of their products has never disappointed us, with hard wearing floors that have a fantastic finish, easy to use and install in any venue; Portable Floormaker is the perfect choice for quality and value. Having worked with Portable Floormaker for the last 8 years, we couldn’t be happier with the service they have provided us with and the quality of flooring they offer. Alongside their fantastic range of hard-wearing products, they offer an outstanding customer service; having gone above and beyond to develop a new product to meet with our requirements. 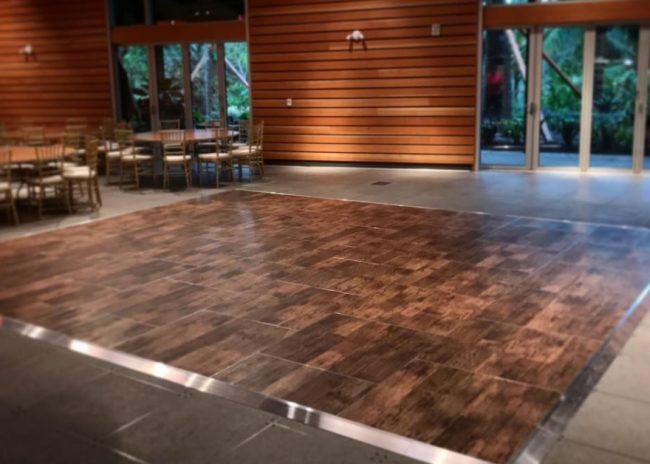 In addition to the practical and durable nature of Portable Floormakers offering, the different finishes available continue to meet with the demands of the ever-evolving event industry and allow us to provide our own clients with an up-to-date product that will stand the test of time. We look forward to working with Portable Floormaker in the future and wouldn’t hesitate to recommend them to others. Having first been put in touch with Portable Floormaker through an existing customer of theirs, I have now been a satisfied customer myself for over 10 years. I have bought several products including dance floors, stages and they even designed and built us a mobile bar to our exact requirements too. From day one I have been happy with their quality of products, service and after sales care. Anyone can talk a good business/product/service, but to follow through with those easily spoken words is all you want as a customer, and PFM do that… and more. I am only too happy to give them my seal of approval. 10/10. 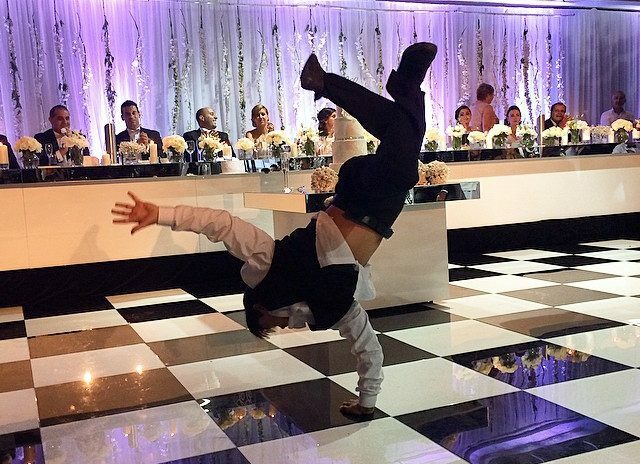 We use Portable Floormakers Florlok® Portable Dance Floors and their Stagelok® Portable Staging System. We find these products are excellent in quality and with the ability to create various configurations of both, it benefits us hugely. When putting on a high number of events week in, week out; we not only need equipment that’s very hard wearing, easy to build and transport but it must be admired by our clients – that’s exactly what you get with PFM’s dance floors and staging products. We’ve always dealt with Luke who is extremely knowledgeable and always there to help which has given us an excellent customer experience. 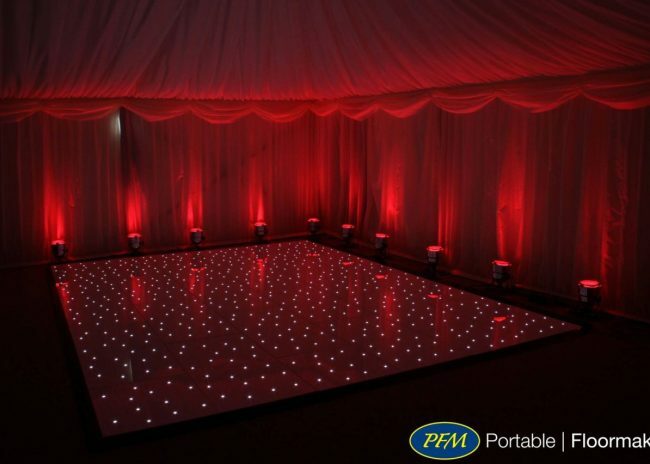 AM Lighting is a leading supplier of portable dance floors in the East of Scotland. Our customers demand a higher quality product in comparison to most, so all of our dance floors are manufactured from Portable Floormaker. Being a British manufacturer, we can ensure a high-quality product is supplied and their service and maintenance is excellent. Portable Floormaker have had a contribution in making our business of what it is today. When we initially 1st visited the factory, the team where more than happy to accommodate us, took on board our requirements, budgets and went the extra mile to ensure our needs were met. We find that the sales team are continually able to assist are queries, help us with our last-minute problems and are only too happy to advise when needed. PFM’s products are made to a high standard that meets ours and our clients’ needs and we would recommend their services and products to any fellow company. 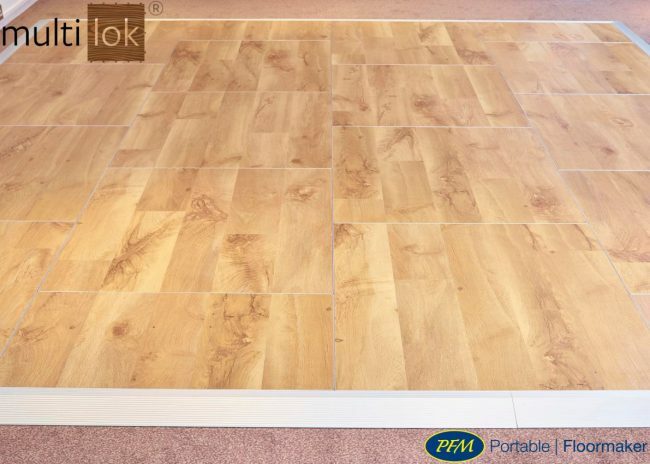 Luke is always extremely helpful to deal with, we use Portable Floormaker dance floors as we like the fact that however many years pass, we know we can order extra pieces that will fit in with our existing dance floors. 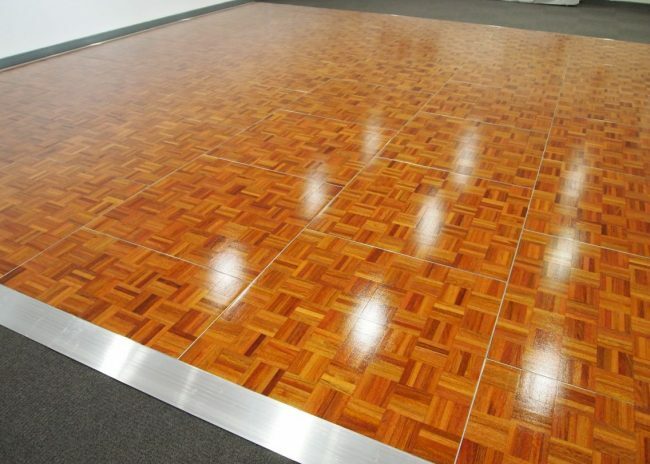 The components fit well together to create a solid, dance floor solution that can be used over and over again. 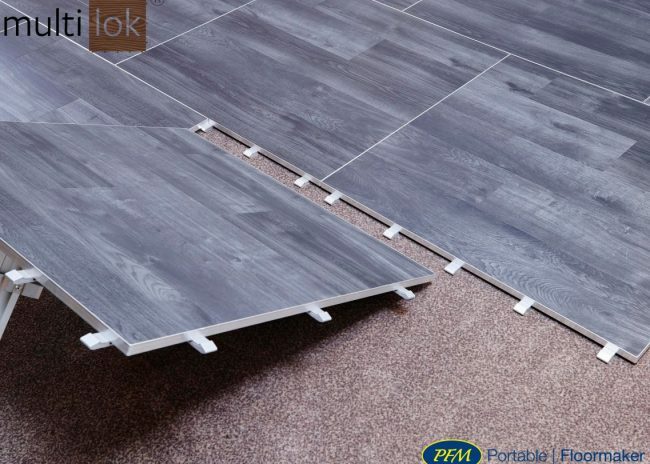 We have been delighted with both the product and service that we have received from Portable Floormaker. The floor just works, which is ideal. It’s nice to know that we can lay a floor (even in a marquee) and we won’t get a phone call from the client to say that it has stopped working throughout the event. Big thank you to Portable Floormaker. This is the second dancefloor I have purchased from you and the experience has been excellent both times. 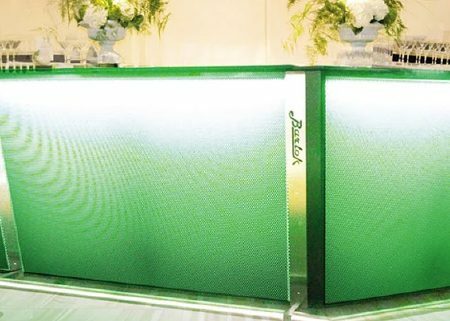 We also have two Barlok® Portable Bars at my venue and it certainly creates the ’wow’ factor. All products have been excellent quality and the customer service is first class. 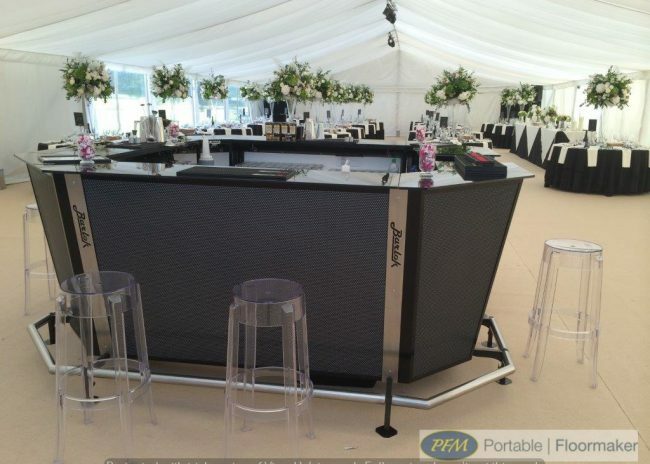 I would highly recommend Portable Floormaker to anyone who has a function and events venue. Their products have certainly helped increase our business. I really rate Portable Floormaker. 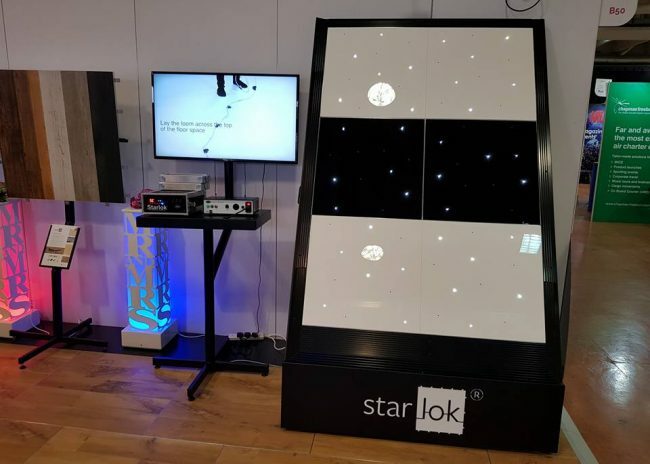 Barlok® is beautifully thought through; both in aesthetic, as well as practically transportable for events. Almost equally as important, the service (from Luke in particular) has been outstanding. Would absolutely recommend. We chose the Barlok® system as it represented a superb looking, multi-functional product whilst being good value for money. 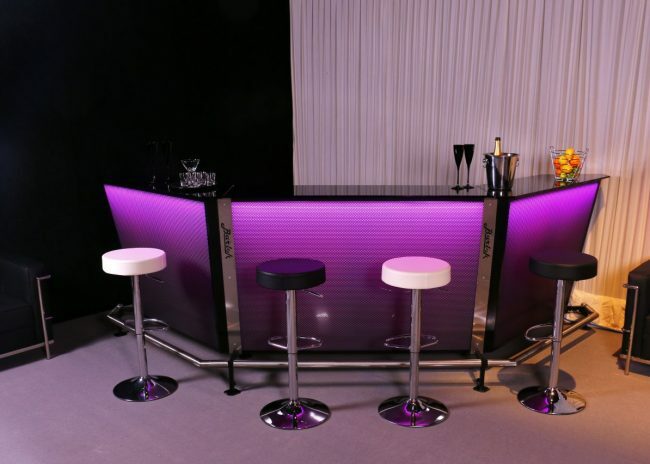 The different component shape options allow us to create amazing looking bars in virtually any space. The fact that it was customised with our company logo within the units was a great feature for us. The service provided by the Portable Floormaker team was great and we were regularly updated throughout the sales, manufacturing and shipping process. 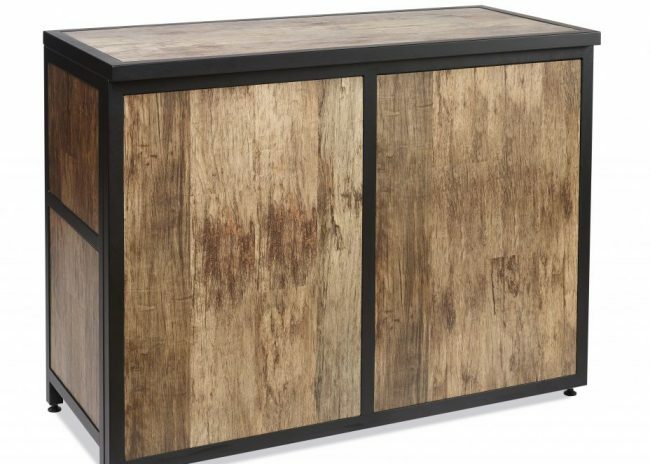 With these units we can provide a fantastic looking, professional bar from our own stock without cross-hiring from other companies. We have been delighted with the service and quality of products offered by Portable Floormaker and all deliveries have been made on time. The Barlok® portable bar system as well as flight casing is great for our needs and requirements. 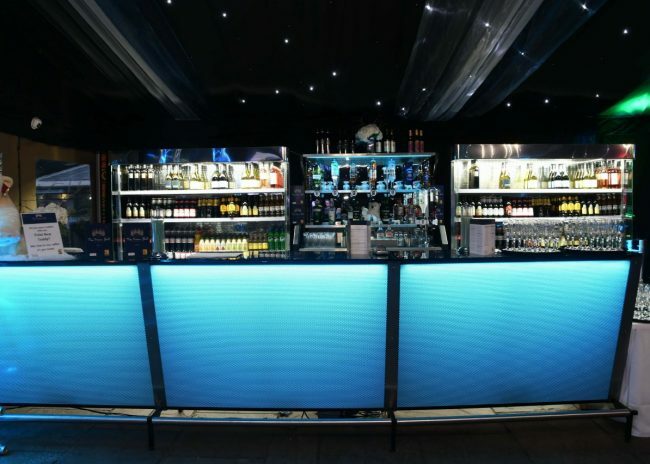 The bars and dancefloors that we have all look fantastic, and are standing up well to wear and tear. As a premium event supplier, we’re always hunting for the very best in design and build quality when it comes to our equipment purchases. Our most recent purchase from Portable Floormaker was the modular, tool free, collapsible led bar system, Barlok®. We spent a lot of time researching bars to make sure we went down the correct route prior to purchasing and were excited by the products Portable Floormaker could offer. 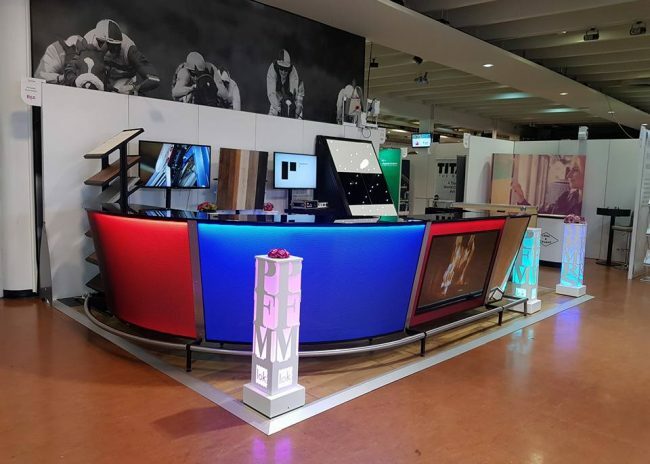 One of the main selling points with PFM was that we were able head over to The Event Production Show and physically see the bars, chat to the sale team and ask all the questions we had. Due to the wide range of options, sizes and shapes that PFM supply we’re able to continually buy new sections to accommodate our client’s needs and create new and exciting looks for our events. We were impressed by many factors of this product: from the quality & durability and simplicity of setting it up for both my staff and customers.